How does a one-coat simplify my process? Because the primer and cover coat are likely to react with one another in the liquid state, customers must use separate spray equipment for each coat or utilize a thorough cleaning between each coating. With a one-coat system, only one dip tank or piece of spray equipment is needed and cross-contamination is no longer an issue. Likewise, additional mixing equipment is not required as it is when you have both primer and cover coat. In addition, a one-coat system can speed up the production process. When using a two-coat system, you must wait for the primer to dry fully before applying the cover coat (this can be several hours in some processes). The one coat is applied directly to the metal and requires only one drying step before molding. How does a one-coat simplify my adhesive supply? Purchasing a one-coat adhesive eliminates the need for an additional adhesive. This reduces the need for two coatings down to just one, providing savings in both logistics and storage capacity. How will a one-coat reduce my adhesive usage? The typical recommendation on DFT (dry film thickness) for a primer like THIXON P-6-EF is between 0.2 and 0.3 mils. A typical recommendation for a cover coat can range from 0.5-0.8 mils, depending on elastomer and end-use application specifics. With a one-coat system like THIXON OSN-2-EF or MEGUM 15637, a total film thickness of 0.6-1.0 is suitable for most applications, offering the potential to save on overall wet film application in your process. How will using a one-coat reduce my need for additional solvents? For customers who are diluting adhesives for an application (especially spray), a diluent will be needed for both the primer and the top coat. 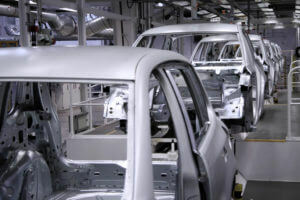 Because primers and top coats typically are comprised of different solvent systems (primers are often in MIBK or MEK and top coats are commonly in Xylene or Toluene), moving to a single coat allows the user to reduce the number of solvents that they will need for dilution and clean up to a single solvent. How will a one-coat simplify my bond failure analysis? While we prefer bond failures to never occur, they sometimes do. When they do, the customer will look into a failure to determine what might be the cause. In a two-coat system, like the depiction below, there are 3 primary areas of potential bond failure. Failure between the metal and the primer. Failure between the primer and the cover coat. Failure between the cover coat and the elastomer. In a one-coat system, the adhesive failure will be either between the metal and the one-coat or between the one-coat and the rubber. The overall potential failure modes are reduced, essentially, by one. THIXON, MEGUM, AND ROBOND rubber to substrate bonding systems from DowDuPont offer a robust bond in a wide variety of application environments, processing and cost advantages, and a simplified supply. As the only distributor for these products in the United States, H.M. Royal Inc. has customer and sales support coast to coast as well as dedicated technical service, including in-house bonding evaluations and failure analysis available to all of our customers. Get a quote on our diverse portfolio of bonding systems to suit all of your needs.